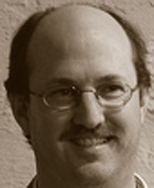 Tim Riley is the Director of Quality Assurance at Mozilla. He has tested software for 18 years including everything from spacecraft simulators, ground control systems, high security operating systems, language platforms, application servers, hosted services and open source web applications. He has managed software testing teams in startups to large corporations consisting of 3 to 120 people in size and in up to 6 countries. He has a software patent for a testing execution framework which matches test suites to available test systems. He enjoys being a breeder caretaker for Canine Companions for Independence (cci.org) along with live and studio sound engineering. "This would be an excellent supplemental text for a course in software engineering, as several of the chapters present testing not just as a dry and dull process, but as an interesting and potentially exciting activity that could be well worth looking into as a career choice." "The book has very practical examples and extensive links where the reader can find additional information." "Anyone charged with the mission of testing software with the objective of releasing it for general use would marvel at the insights presented in the book's 23 essays written by 27 of the most gifted software developers and testers."